Fast Track is proud to partner with the Ticket to Dream Foundation to help foster kids, just be kids. With over 400,000 children in foster care, Fast Track and guests can help ensure foster youth have the support they need to thrive and the childhood memories that create hope for a better tomorrow. Join us in helping California foster kids. Many Foster Kids enter foster care with little to no belongings of their own. These children have experienced enough fear and uncertainty and need our communities care. Ticket to Dream Foundation’s goal is to get resources in the hands of foster youth across the nation. 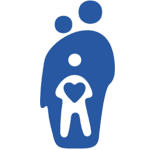 Find out how you can access essentials for your foster child or non-profit program. Your donation helps local foster kids experience childhood, normalcy and gives them the support they need to thrive.